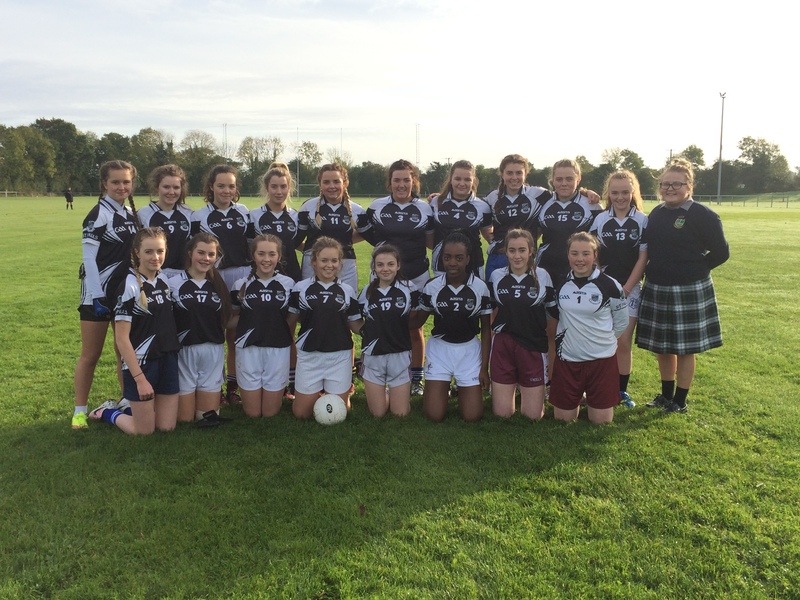 The Senior Ladies Football this year got off to a great start with a comprehensive victory over Athy College, with the score ending in 9:16 to 0:01. The girls started the game strongly with Orla Burke and Amy Lacey dominating mid-field for St. Pauls. This gave our forwards great ball in, allowing Abby Kemmy to pick off some amazing points and goals. The forwards kept up the bombardment on the Athy goals, with excellent scores from Katie Burke, Eimear Hanlon and Katie Walsh. Clodagh Colgan added to the tally with two lovely points from play and our young corner forward Chloe Kelly adding on some nice scores. Our backline was troubled little, with Naomi Ganiyu, Abbie Talbot and Alana Dillon-Baker keeping their half forwards at bay and creating some excellent runs into the forwards. Our full back, Sarah Walsh picked off a few scores when dropped in to full forward. Athy did threaten scores, but our two corner backs Christine Worrell and Martha O’Reilly foiled every attempt to go forward. Over all it was a great day for St. Paul’s who played very well as a unit. Our subs, Katlyn Hyland, Orla Hartigan and Shannon Ransome all contributed greatly to the game. Although our goal keeper Lynn Curran was tested rarely in the game, she did pull off a magnificent save in the dying few minutes denying Athy a certain goal. Athy received a free late on to get their only score of the game. Great work effort from the girls overall.